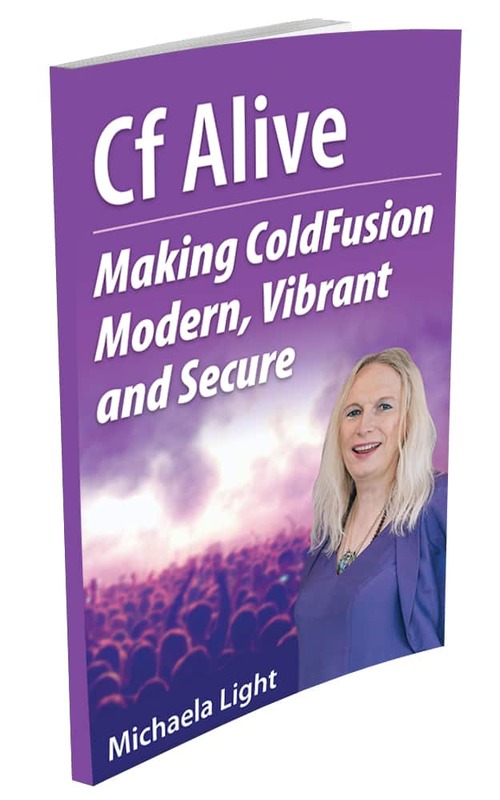 I was so tired of seeing and hearing about CF dying that I wrote a book called “CF Alive: Making ColdFusion Modern, Vibrant and Secure” (see below). And I am announcing the new CF Alive Inner Circle. 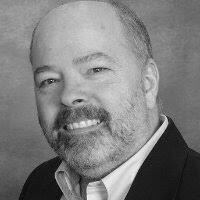 I’m here to show you that ColdFusion is a vibrant and modern language for complex, data-driven enterprise apps. If you use it right. While some companies have abandoned ColdFusion as dying, more visionary dev teams have embraced it. Learn how they are making it the most modern, secure and state-of-the-art web development ecosystem. Bar none. With this book any CFer can help make their CF modern, vibrant and secure. The official release is at CF Summit in Las Vegas in October. But you can get early access to book chapters and contribute to making CF more alive this year by joining the CF Alive Inner Circle. There is no cost to membership. Let’s be real. 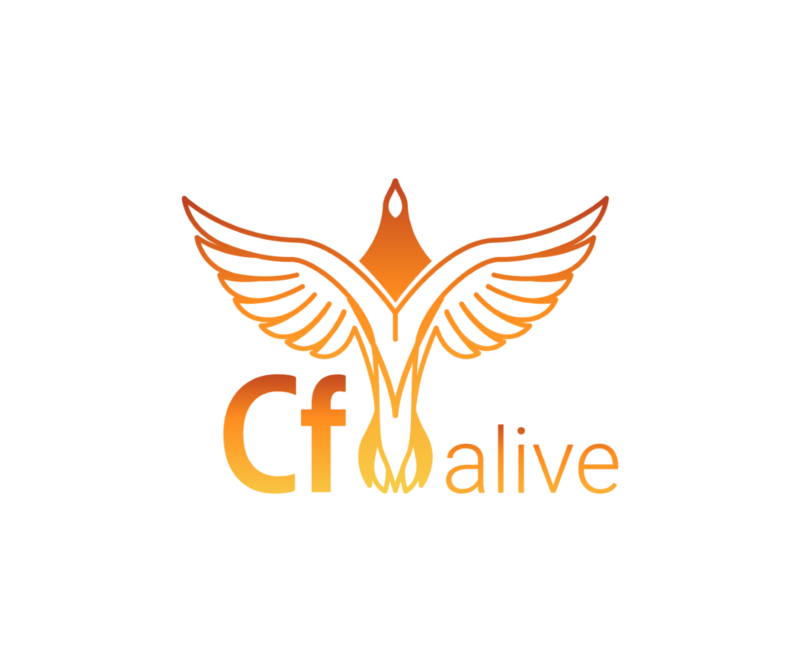 CF is an older programming language originally created in 1995. (Mind you, Bjarne Stroustrup created C++ in 1985). While CF has regular upgrades (currently every 2 years), there are some people who see it as old and legacy. Personally, I never had a doubt about the ColdFusion and its vitality. CF is a state-of-the-art language if you use it the right way. Some CFers have become a bit burnt out; maybe they are bored, and they have become a little cynical of CF and their jobs. They don’t want to learn new stuff, some are afraid to even try. I was lucky to find the excitement and the thrill in using CF again. It feels nice to be young again and learn new coding methods and features for the first time. Let’s recapture the excitement of coding in CF and know that it is the “in thing” to do. In the CF Alive Book, in Chapter 3, “Outreach” and Chapter 4, “Marketing” I look at how CF and the CF community can be more vibrant and alive. From education to developer outreach, education and conferences to PR and marketing, I share ideas with you that include both corporate actions and grassroots ideas that you can do yourself to strengthen your involvement in what you may discover is a surprisingly vibrant community. Hacking is on the increase and at times CF has been accused of being insecure. 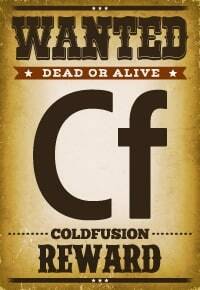 ColdFusion is THE language to use for more security. (According to a CNET web language study). I will help you look at the facts and discover that CF is actually the most secure web language. In Chapter 1, “Modernization”, I examine how you can make your CF apps even more secure with special technique and tools. We are confidently coding easy to maintain apps in CF. Enlivened by using a tried and trusted language. Unleashing the full efficiency of using ColdFusion in our work. We inspire other developers and young programmers to explore the power of CF. Meanwhile, let’s deconstruct the whole CF is dying myth with the CF Alive book and Inner Circle. I invite you to join me in discovering how we can all make CF more alive, modern and secure this year. Join the CF Alive Inner Circle today. You are correct-> there are some promotions and actions that I would like to limit to CF users and developers that are inside a Circle. And it requires one to have a FB account. Why does membership in the CF Alive Inner Circle require a Facebook account? I would like to join the group but I do not use Facebook and have no plans to start using it now. Agreed. I have a FB account but rarely log in. LinkedIn may be a better place for CF Alive?